On Thursday, April 25, one student will switch places with Dr. Harris and experience life as the University of San Diego president. Picture yourself in the president's office! While you check out the view from the top, Dr. Harris will be learning what it's like to be you! Applications are closed for 2019. Thank you to all who applied. Meet USD's 2019 President for a Day: Tiffany Zhang Graduating senior Tiffany Zhang has been selected as USD's 2019 President for a Day. She and President Harris will make the one-day schedule swap on April 25. Video: Will reflects on his experience. 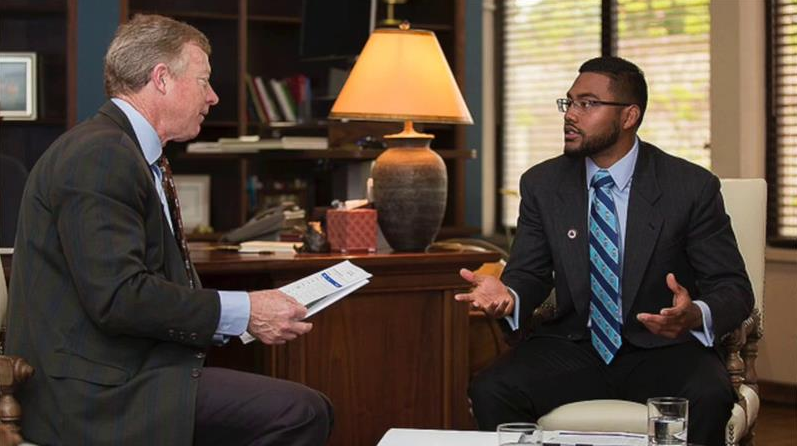 On April 12, 2016, junior Will Tate suited up and stepped into President Harris' shoes. His day began at 8:30 a.m. in the president's office. See photos and read more. Video: Dr. Harris and Olivia switch places. 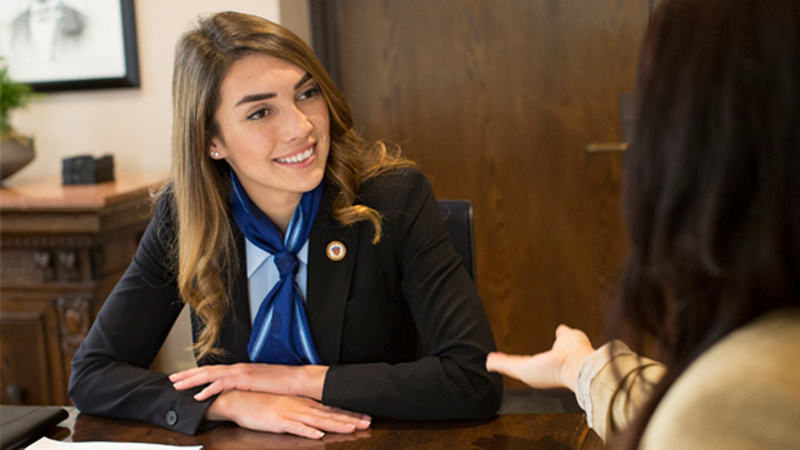 On May 9, 2017, senior Olivia Gonzalez switched places with another highly visible Torero — USD President James Harris — and became USD's President for a Day. See photos and read more. Video: Christina Saad's day as president. When Christina Saad awakened in her Maher Hall residential space on April 26, 2018, the she did so knowing she wasn’t starting her day as usual. See photos and read more.